When the hell did you get good at music (again)? Seriously, these past few months it seems like Tsunku has been on a roll ith his music - Chotto Matte Kudasai, Be Genki, Kimi wa Jitensha, Ren'ai Hunter and the epic CHOU Happy Song!. Seriously, this year Tsunku has really brought out the Diamond's, with only a few rocks to offer such as the horrible Dot Bikini and the cute, under-appreciated Pyoko (I love PPU but there are a lot of people who don't, hence why it's a rock), but, other than those two singles, Tsunku's been releasing some pretty awesome stuff. 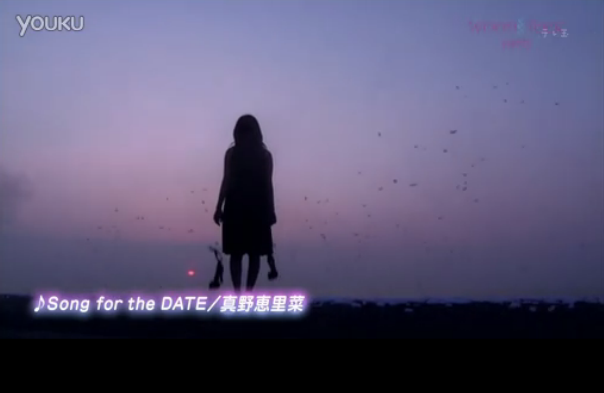 And I doubt that he's going to let that streak slide just yet, because Mano Erina's latest single, Song for the Date, is all kinds of awesome. It's mature, alluring, different and a slice of absolute wonder that I could never imagine coming out of ManoEri's discography collection. 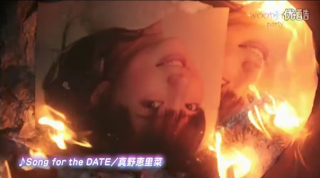 I mean, I wouldn't exactly put that image above to the song or PV that we have been given on a silver platter. I seriously wouldn't - Then again, Mano's Single covers have been all kinds of naturally alluring lately, so I'll let it pass. This is actually the PV I have been anticipating since a preview was available, actually - I've wanted to see this video more than, well, any of the newer releases which I have recently reviewed. This is the video that I have been dieing to get my hands on, just to watch it - and finally, finally I can watch the video non-stop! 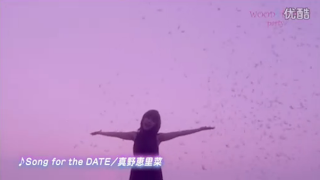 Okay, so to be honest, my first thoughts after reading about this song's title was that it would be a fluffy, cute love song or something to do with a date. Then, when a preview came out, I was surprised by the cool, mature tone to the song - I certainly wasn't expecting it, but the preview made me anticipate this release so much more after that - especially when I saw the small PV portion of it, showing two different Mano's. Even from the preview, I was impressed. I really wanted to see the PV, so when my sister came over and told me it was online, I was pretty happy (though in a half-sleep, half-awake state, too) about it. And now I'm totally besotted with this song and PV - It's pretty much been on a loop because I like it that much, it's rather addicting! 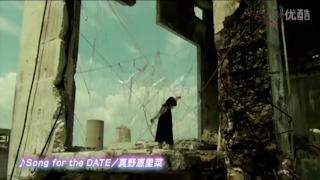 The video is, of course, stunning - but I will put that down to the fact that UFA seem to have actually given this PV a budget, because it was actually directed by a director. 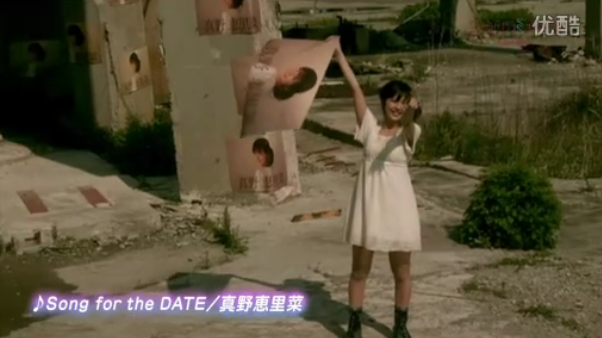 So, of course, there are some amazing shots in this video, a stunningly disastrous set location and a wonderful performance courtesy of Mano Erina herself. This PV actually has to have one of the best opening sequences of any Hello! Project PV - it opens so wonderfully, with such beautiful shots. It was amazing seeing these sorts of shots coming from a Hello! 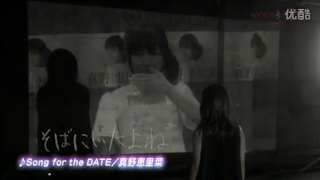 Project PV! 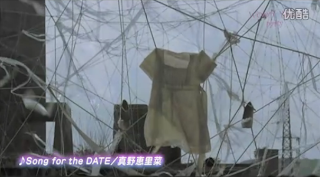 Seriously, I wonder why H!P or UFA haven't done something like this before, because it's pretty amazing. Aside from the fact that this video has a budget, I think that the video and song both have a lot to offer. 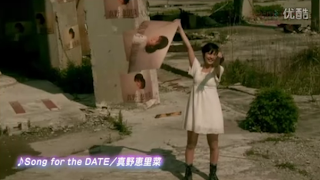 The basic plot of the video is that there are two sides to Mano Erina - an older, more womanly side who wants to break free from her other persona, a seemingly innocent Idol character who has binded her so that she can do as she pleases. 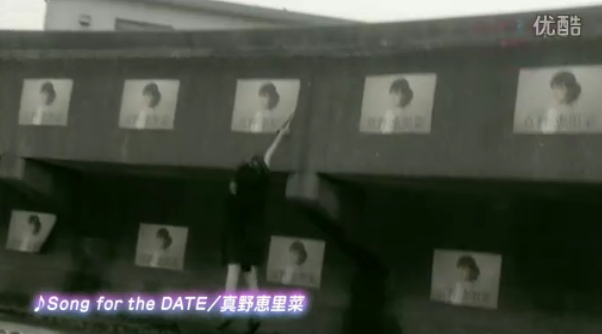 Now, I was surprised by how this PV turned out when I began to watch it - in the preview of the PV, you see Dark Mano ripping the posters down whilst White Mano watches on, smiling innocently. I really thought that Dark Mano was the bad guy in this PV, but in a twist of fate and epicness, it's actually White Mano, who I shall now call Bitchy Mano - Basically, her innocence is an act and she's trying to take over Dark Mano, by tieing her up so that she can promote her innocent persona. 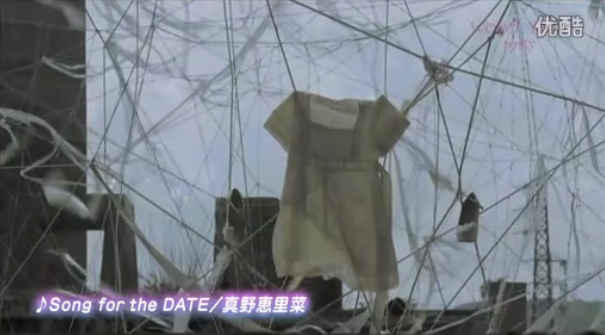 Or at least that's what I got from the PV. I found it interesting how the roles were switched for these two sides of Mano Erina, but I liked how they portrayed the seemingly innocent Idol-like girl as a rather dark person who was trying to take control whilst restricting her more womanly and mature side. I was interesting to see how Mano was fighting with herself throughout the PV, by ripping down posters of her Idol image and running after herself. And that's pretty much how the PV goes throughout (other than shots of Mano singing on the beach). Dark Mano chases her 'Innocent' counterpart around the wreckage, tearing down as many posters as she can, whilst White Mano taunts her and acts playful before running away again. It was really interesting to watch, despite the fact that it was simply a chase - I liked how Dark Mano was trying to gain control of herself whilst White Mano thought that it was all a game, and toyed with Dark Mano as she slowly tried to take over, until Dark Mano herself gained full control and destroyed the other side of herself towards the end of the PV. Everything is so right with this song, from the arrangement to the vocals. This is a song that fits Mano's voice beautifully, and really shows off that more alluring and mature side to her that her earlier singles didn't show. She sounds amazing here, even with the auto-tune that was happily thrown in there during some parts, but it all works - Everything works so well together, and the song is so amazing. Thank goodness there isn't that much auto-tune, though, or I probably wouldn't really like this song as much. It's surprising how this song is called Song for a Date, when it sounds nothing like a song which you would listen to (or think of) when you are going out with your beloved. It's edgy, it's darker than anything else Mano Erina has done, and it's too epic to be classed as a date song. 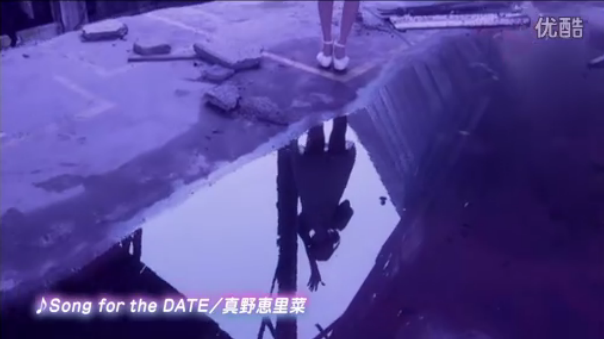 Then again, it could also have a deeper meaning embedded in the lyrics that I don't know about - but I still think that this song is too cool to be classed as a date song. But that's my personal opinion. Mano Erina's performance in this video was absolutely amazing - I love how she showed the corrupted side of herself by feigning innocence, before showing her true colours as she battled against her with her more mature side. This PV basically showed me that this is Mano Erina's coming of age song and video, telling us that she is no longer the cute Idol that she once was, and is now a woman who has been battling that Idol persona whilst trying to act like an adult, before destroying that 'Innocent' side that we all see and taking control and becoming a mature, alluring woman. I loved the symbolism in this - the dress hanging from the lace and wire where she had been bound before, the posters burning that innocent image and how the innocence itself was simply a facade that could easily be erased if you wanted to drop the act. The PV is absolutely beautiful to watch - I loved every minute of it, and Mano looked gorgeous in every shot, and I love how I was reminded of H!P's earlier releases when MoMusu was just starting. 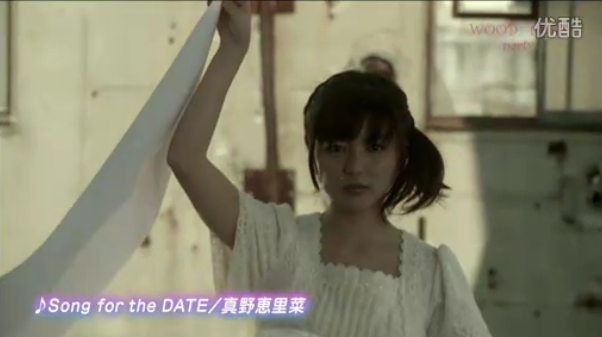 This is, by far, Mano Erina's best PV to date. Whilst I love My Days for You and Tasogare Kousaten, two of her PV's which had more thought put into them than any of her other singles, I do feel that this one comes out on top. Mano's PV's have just been getting better and better lately, and her performance just keeps rising. She keeps on improving and continues to impress me with everything she brings out, and her music is some of the best that H!P has been delivering lately. Everything about this single A-side is amazing - the song is wonderful and new for Mano, and the video is mature, different and just like a movie. This is a 'Destructive' video that is worth watching. Why destructive, you ask? Because Mano is destroying a side of herself to become someone new, someone different - and I love that. I love this Mano and I really do hope that she keeps this image, and continues to do PV's which have plots to them and are outside, because she is amazing at doing those sorts of videos'. 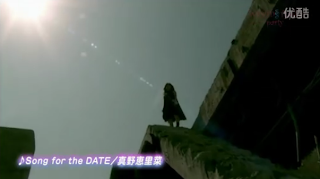 Seriously, Tsunku, Mano... keep on doing what you are doing, because 2012 has so far been pretty amazing song and PV wise (barr S/mileage) for Hello! Project. Oh, and UFA... keep spending that budget, please! Seriously... Watch it. You won't regret it. Thank you for sharing your opinion with us. I just discovered Mano a few days ago. I really do love her earlier music, but I love this mature side to her as well. I am excited to see what she's going to do in the future. If you mispronounced Date for DEAD, then you will get the meaning. Song for the DEAD, she's singing a song for her "dead" old self. HA, that's really funny XD Love it!